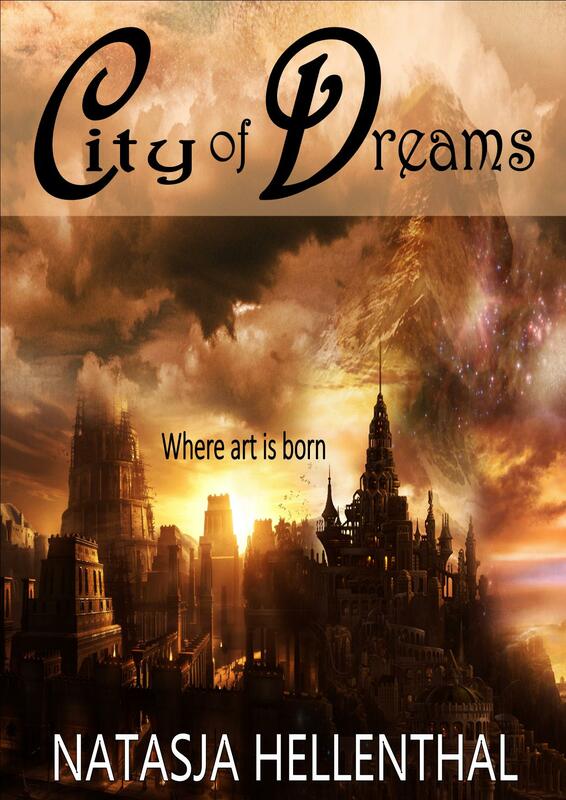 ‘CITY OF DREAMS’, available in all formats will be FREE this thanksgiving weekend only. Aigle Comyenti is travelling home to be on time for his sister’s wedding. Whilst travelling he hears the last notes of an enchanting tune and makes a sudden decision. He MUST have that song. My upcoming novella has been sent to the first editor! Release date: Febr/March. Stay tuned! “This is not a fairytale, but a true story,” storyteller Tana Woodwolf tells the audience. One day she finds herself transported to a tower and from that day on is entrapped within the grasp of a cruel wizard. She and the other prisoners don’t have a clue as to why they’re there. They wear no chains, there are no locks and the surrounding fields are enclosed by an invisible impenetrable wall no one has ever managed to break through.Added to that, people on a regular bases are dragged up the stairs by an invisible hand. But how does she escape? Who does that voice belongs to that is trying to help her? 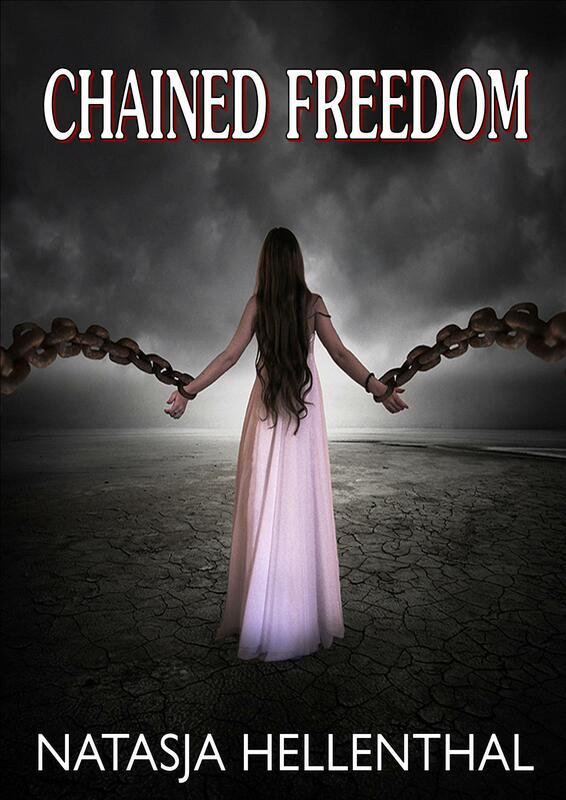 Read page-turning, ‘Chained Freedom’ and cling to Tana and her efforts to free herself and the others and won’t rest until she does. My name is Natasja, author, thinker and soul-searcher. Welcome to my blog! I’m not a follower of conventional idea’s and ideologies; I rather make up my own mind. I love raising questions and try to stay true to my self and use nature and life as my great inspiration for my stories rather than what is common or trendy. To turn inward to one self regularly is key here; in complete solitude and withdrawal from the world to understand our true self, and surprisingly to find that connection with the real world, not what we perceive outwardly, but inwardly. That’s where dreams come from, the same world where stories are born. I love beauty, poetry, music and art above technology and rushed modern day life. I think we need more of that to be and stay civilised and in touch with ourselves and each other. I tend to observe people and am fascinated why we do the things we do and the human condition in general and how we as a society shape and form our children who become adults and in turn run society in future generations. How people can get brainwashed by religion, dogma’s and traditions. How abuse in any form can have its impact on the individual; their mind and their soul. I’m also quite passionate when it comes to the environment, sustainable living and animal welfare, the way we treat our children and those who are less fortunate in life. I’m a very sensitive independent soul and abhor any form of violence and injustice. I believe that kindness and respect goes a long way and we are here to share this planet and give something back, not just take. I believe the world is what we create and that all that is born deserves a chance to live and that it is not up to us, humans, to use and abuse ‘lower beings’ just because in the bible it says we can and people justify cruelty because a bunch of people have written something in a 2000 year old book. Surely it is time for change? Not everyone can help everybody, but everybody can help someone. Start by being selflessly, that is a good way to start. The fact that everyone is doing something doesn’t make it right. Never stop questioning, even though you seem to be the only one that does in a world full of sheep. With your heart to guide you, you’re never wrong. All these elements I use in my writing. 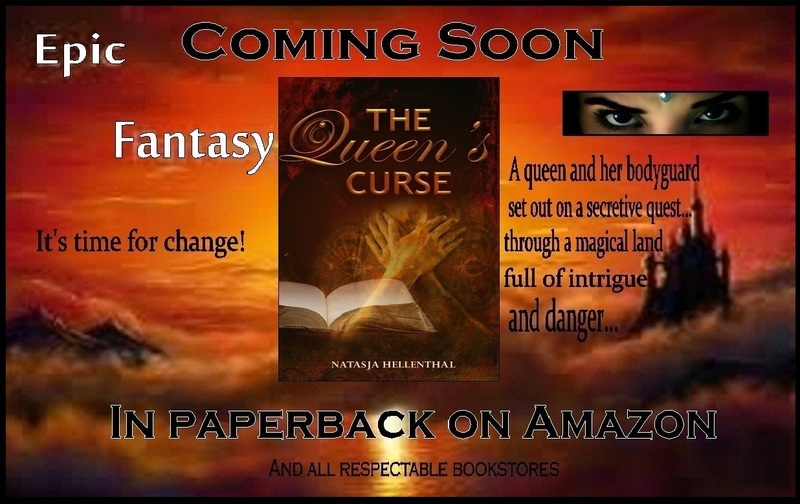 Especially the losing of ones freedom in many ways; it was a curse in my debut novel, ‘The Queen’s Curse’ that prevented the main characters from living their lives in freedom. Queen Artride, although the ruler of her country, had no real power or influence because of the curse on the law-book (which of course is a reference to the bible and our own old unchanged ridiculous justice and penalisation system) which made it impossible for her to have any real impact or make any positive changes to a old fashioned harsh law system. It became even personal as she had no real freedom. Literally is she travelled too far on her own removed from the castle and its law book, she would be tormented by excruciating stomach pains. Of course someone needed to stand up against injustice, so hence Tirsa Lathabris came in to remind the queen. Tirsa remains her rock and conscience throughout their quest for the sorceress whereas Artride is everything that is good and reminds a hot-headed but nature and animal loving Tirsa of a non-violence way of dealing with the world and its people. Together as a team they fight off evil and overcome the curse in what is said to be an original way. 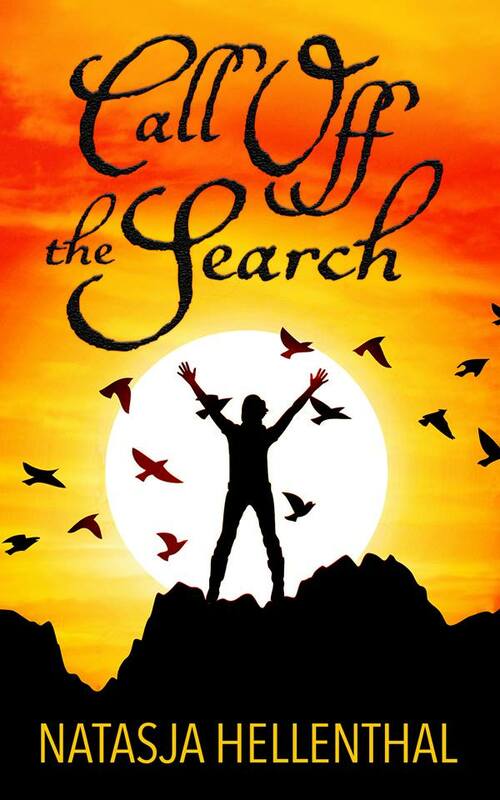 ‘Call Off The Search’, my second novel (book 1 of the Comyenti Series), is the story of a strong woman who might be the last of her kind, the comyentis. Whose family and kind has been hunted and killed by humans and who doesn’t really belong anywhere. As a halfling and nomad she always finds herself in between two worlds. When she falls in love with the human twins, Felix and Feline (not at the same time!) her sworn enemy, the struggles only get worse as they remind her of her humanity. Also more questions arise regarding her own species when she finally does find the other last survivor, Shazar. And he is not exactly what she thought a comyenti to be. Also here again the lack of personal freedom as Sula made her mother a promise to continue the bloodline. She has to have children in order for her species to survive and to continue the search. She knows this is the right thing to do, but who ever asked her? 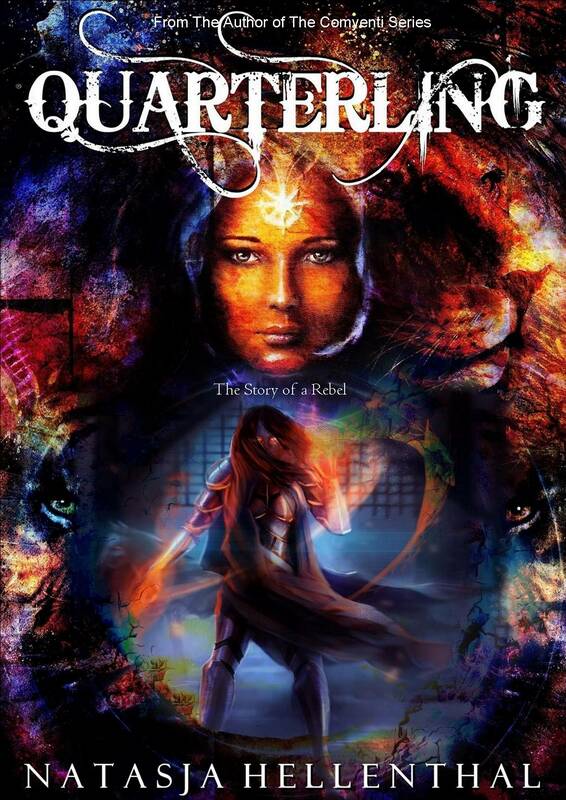 It’s a psychological soul searching story of finding ones true identity and sexuality and acceptance who and what you are in an unforgiving harsh world full of prejudice. Well, I will be blogging regularly from now on with not only updates about my own books but als about the books, interests and people that have inspired me personally and continue to do so. I hope you will find this of use, feel free to contact me on natasja.hellenthal@gmail.com or like my Fan Facebook pages.